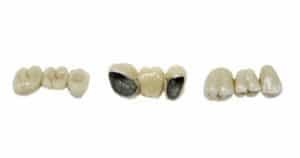 While the teeth are numb, the two anchoring teeth are prepared by removing a portion of enamel to allow for a crown. Next, a highly accurate impression (mold) is made which will be sent to a dental laboratory where the bridge will be fabricated. 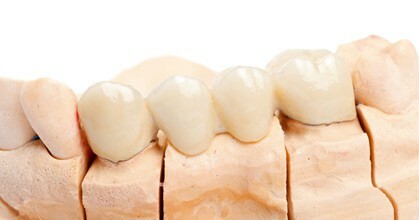 In addition, a temporary bridge will be made and worn for several weeks until your next appointment.